InfoComm 2008 has come and gone. It seems like just yesterday that I was battling the 105 degree heat on my way to check into the Las Vegas Hilton. This was my first time attending an InfoComm show, so I was really excited about the idea of going. Before going, I spent some solid time planning out an extremely busy schedule of classes, networking, meetings, presentations and parties. Even though I was heavily scheduled during the day, I still had a decent amount of time to walk the show floor and visit booths. My focus at the show was mainly one of education and networking. I'm obviously interested in the new technology on display, but that angle was well covered by my travel partner, our classroom installation project manager. Here's a summary of what I ended up doing during the week, with a quick day by day dairy that follows. I ended up taking four classes at InfoComm: Rental & Staging Business Survival Kit, How to Train Rental/Hire and Staging Staff, Anatomy of a Las Vegas Staging Event and Entertainment Electrical Power. I didn't take any of the longer multiday certification prep courses, since I simply didn't have the time. Originally I had also signed up for two of the manufacturer's training courses, but I ended up cancelling them since my schedule looked way too busy. In hindsight, I'm really glad I cancelled them, and I think in the future I'll limit myself to only two or three classes. It was just a bit too busy with four classes in three days. The two big presentations that I attended were the Manufacturers Forum and the Rental & Staging Forum. Both had completely different feels to them, with the Manufacturer's Forum being more of a panel discussion and the Rental & Staging Forum more of an interactive event with the help of an audience response system. The major networking events that I attended were the InfoComm Opening Reception, Extron Educator's Reception, ExpoJam (with the Gin Blossoms performing) and the Rental & Staging Reception. At night I stayed busy with parties hosted by Extron, Crestron, and VER. This year you couldn't help but notice that digital signage related booths were all over the place. Professionally, I don't deal with much digital signage, but it was still interesting to see the advancements in that sector. Telepresence technology was starting to make more of an appearance at the show, and of course everywhere you turned it was HD this and HD that. I checked into the Hilton around 1pm and decided to make my way over to the Las Vegas Convention Center to check things out and get registered. The show floor didn't open until Wednesday, but I was able to sneak in the north hall and check out everyone scurrying about to get all the booths set. I had never been in the Las Vegas Convention Center before, so I was blown away at the sheer size of the place. That was just the north hall. The show also consumed the center hall, lobby and many meeting rooms too. They also rented out a large amount of meeting space at the Hilton too. It was InfoComm as far as the eye could see. The Manufacturer's Forum started at 4pm. The event was hosted by Gary Kayye, and featured a panel of Gerry Remers from Christie, George Feldstein from Crestron, Michael MacDonald from Harman, Joe Sigrist from Polycom, and Jeff Porter from Scala who was filling in for the CEO, who was stuck on a delayed flight. I found their opening remarks interesting, since they touched on issues and problems that are obviously at the forefront of the company and industry. In his opening remarks, Gerry from Christie made mention of the church market becoming increasingly important to them, and also the fact that many people are moving toward unconventional aspect ratios, rather than just sticking with 4:3 or 16:9. George from Crestron opened with talk of the convergence of all types of AV technology and mentioned that the adoption of new technology by the end user will push the industry through the recession. Michael from Harman commented on the challenge for them of the collapse of distribution layers. Joe from Polycom opened with the concept of "video is going mainstream" and talked about "HD" and "telepresence" becoming mainstream terms with even non-tech savvy individuals. Jeff from Scala, a digital signage software company, talked about a wide variety of industries jumping on the "digital signage bandwagon". After the Manufacturer's Forum I visited the InfoComm Opening Reception, the Extron Educators Reception, and the ExpoJam featuring the Gin Blossoms. All were well attended and kicked off the week nicely. My day got started at 8am with the Anatomy of a Las Vegas Staging Event class. On a side note, the 8am classes were hard to wake up for after a night at the parties. Unfortunately, I had two 8am classes during the week. Anyway, back on track, the course goal of Anatomy of a Las Vegas Staging Event was to provide information about working a staging job in the Vegas market. It was hosted by JP Brozyna from AGF Media Services, and featured a panel of Joe Leone from the Wynn Hotel, Warren Tash from AV Concepts and Chris Prosio from Barco (and all those great Rental & Staging Systems articles too.) All of the panelists provided some solid insight into staging a corporate event or meeting in the city with the largest amount of meeting space in the US. After the class I ran down to the show floor for my first exposure to it with all the booths fully set up. I met up with my coworker and our sales rep from our installer. I had just enough time to check out the Extron and Sanyo booths before choking down some food and running off to my next class. The course I took next had to do with creating a training program for rental & staging techs. It was taught by Don Guzauckas from HB Group. I was really surprised at how many in the class don't have a training program in place. I think too many people put too much emphasis on the equipment angle and neglect the staffing side of the industry. As Don said, training is expensive, but think about the cost of losing one big client because of poorly trained techs. After the class I was immediately off to the Rental & Staging Forum and Reception. It was hosted by Tom Stimson, and featured a panel of Matt Emerson (the Chair of InfoComm's R&S Council), Doug Hunt from American Audio Visual Center, Bob Leon from Colortone, Janne Mummert from VER and Wayne Vincent from MVP International. Tom posed questions about industry revenue, fuel costs, green AV and HD. We all had a personal response system to answer questions posed by Tom. About 100 audience members usually voted on each question. At some point you'll be able to download all the questions and results from the InfoComm website. I, along with about 8,000 other people, scurried to the shuttle buses for the ExtronBASH at the Palms Hotel. Since it's Extron's 25th anniversary, they spared absolutely no expense. They rented out the Palms pool, 2 restaurants next to the pool and the Palms nightclub, Rain. A cover band playing in Rain, food and drink everywhere, blackjack games and Dwight Yoakam performing made for a busy evening. Apparently Dwight is one of Andrew Edwards' favorite performers, so the big boss booked him for this show. They had an amazing turnout and some great presence. I've never see so many Extron gobos projected in one place, and the event had what seemed to be an endless sea of Extron employees attending. Another 8am class kicked off this day for me, and this is the one I've really been looking forward to: the Rental & Staging Business Survival Kit taught by Tom Stimson. I'm a huge fan of Tom's newsletter and R&S Systems articles, but never had the opportunity to hear him speak in person. My conclusion: make sure you go out of your way to attend a class taught by Tom. He's an extremely interesting person and presents his material in a very interactive and compelling fashion. His class focused on many of the best practices tips that he's accumulated over his years of experience. He can back all of his tips up with real world examples, and really makes you think about how you go about completing your day to day operational tasks. You really need to catch him when he presents at one of the upcoming Rental & Staging Systems Roadshows. The next six hours was spent walking the show floor with my coworker. On the classroom installation side of my job, we use a bunch of Crestron and Extron, so we made sure to get full booth tours. Crestron's Quick Media technology is pretty exciting, and Extron's latest release of their Global Viewer Enterprise software was great to see. We also had the opportunity today to make our way through audio land. At 5pm I was off to the Crestron party, and man do they know how to throw a great party. We started at the MGM pool. They rented it out for a cocktail reception complete with a band and mermaids swimming in the pool. Then it was inside to enjoy a performance of Cirque Du Soleil's "Ka." Crestron rented out the whole theater. If you haven't seen a Cirque show, you must go immediately. From a tech standpoint they're just amazing. I can even begin to explain this stage they had that could raise and lower on a lift like I've never seen, and it could rotate and tilt on a central point. Just amazing. After the Ka show, Crestron rented out the MGM Grand's Studio 54 club for dancing until 10pm. After that party I jetted over to the Mandalay Bay's House of Blues for "The Party @ InfoComm", hosted by VER with partners AV Stumpfl, Green Hippo Video Systems, Martin and tmb. I got there just in time to hear Berlin and the Bangles play. Great show! VER and Green Hippo had the stage decked out fully in LED panels. Very fun night. The end is near! I couldn't believe how fast my time had gone at InfoComm, but the final day was upon us. My final class was "Entertainment Electrical Power" taught by Alan Rowe from IATSE Local 728 in Burbank, CA. Power issues have always been an area I've been lacking in, so I was looking forward to this class. Alan was under the impression that most of us would be from the film and TV production end of things, but when he heard before class that most of us are sound guys or from the staging world, he did a nice job of changing and customizing his content on the fly. He talked about all the basics of show power: calculating loads, single and three phase power, cabling and most importantly, electrical safety. I was especially interested in the safety issues, so I can pass along this information to the techs I supervise. After the class I ran down to the show floor to join up with my coworker one last time. We finally made our way down to the Large Venue Display Gallery at the far end of the north hall. Sony, Christie, Digital Projection and Barco all had some massive projectors on display. We finished up the day at the Sanyo booth. My coworker and I entered to win one of 8 HD camcorders or a LCD projector. My coworker was a lucky winner of one of the cameras, so that was a nice way to end the show. So my first InfoComm has come and gone. I'm absolutely exhausted, but I'm glad that I kept my intense pace up during the show. There was a ton to see, and I feel like I really pushed hard to experience all that I wanted to. It was great to see so many enthusiastic people involved with the AV industry in one place. It was a very inspiring atmosphere, and gave me a great feeling about the state of the industry. See you in Orlando in 2009! 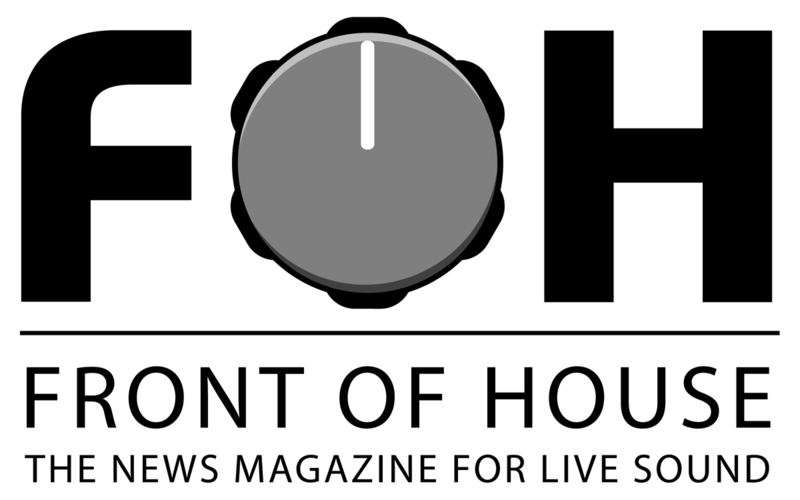 In June 2008, while I was working at Harvard University, I wrote this article for Front of House (FOH) Magazine. It's a true story! I work in an audio/visual department at Harvard University. My clients are brilliant economists, poets, physicists and historians. On any given week, I’m knee-deep in Noble Prize winners. I’ve pinned mics on Mikhail Gorbachev and Yo-Yo Ma. But what kept popping into my dreams at night? Mixing for a rock ‘n’ roll band. I mean, come on, you can only sit through so many high-level organic chemistry lectures before you start yearning for the world of rock ‘n’ roll. So, I put the word out on the audio message boards that I was looking to shadow a sound guy in the Boston area: free labor in exchange for a day in the trenches. An owner of a regional sound company e-mailed me and offered to let me tag along for a show he was working that Saturday — four punk bands playing at a medium-sized club in Boston. Perfect! I couldn’t ask for a better introduction to the world of rock ‘n’ roll sound than a punk show. The sound company owner was a great guy — taking the time to give me various tips and tricks that you just don’t pick up in the Ivy League lecture halls. Things like how to route the snake run around the probable beer spillage areas, and how to work with the grizzled old ex-REO Speedwagon roadie that was now our stagehand. The load-in went as planned, and we set up the FOH position on the main floor surrounded by bicycle rack security barriers. The sound check rolled along pretty smoothly, and we all broke for dinner before the show. I was really digging this rock ‘n’ roll lifestyle. Then I started to get some exposure to the flip side of the coin. I started to see the security staff arrive for their shift, and I started to wonder why there were hordes of them. Oh, yeah, punk show. They opened the doors and our FOH position was engulfed by throngs of teenagers amped up for the show. About three minutes before the show started, I was introduced to the concept of the band bringing its own FOH engineer. He appeared 15 years old, and obviously got the job because he let the band use his parent’s basement to practice. It was painfully obvious that the FOH engineer was overwhelmed by the Soundcraft Series Five console, but it was even more painfully obvious that he wouldn’t accept help from any of us. The show got started and the band’s engineer settled into a nasty looking, but workable mix. About three songs into the show, the band started playing their big hit. The crowd started jumping in unison and the energy level in the place started achieving LA riot levels. As I mentioned, our FOH position was right in the middle of the main floor, so I was really getting the full rock ‘n’ roll sound guy experience now. Then, faster than you can imagine, the bicycle rack barriers around our FOH position gave way to the weight of the crazed teenagers, and they start literally spilling in toward us. A wave of youths crash into the back of the console and the desk slides about three feet toward us. The EZ-tilt was now like a toboggan. It comes to rest still upright. We’re trying to comprehend what just happened then we see the console start slowly tilting backwards. Three of us grab for it, but there’s no way to stop this behemoth from moving. It goes crashing down on its rear, and I had no doubt in my mind that the 400-pound console was crushing some poor teenager. So now my rock ‘n’ roll experience has gone from pretty cool to pretty terrifying. A couple of us stood on the EZ-tilt stand while a few others lifted the console upright. We were all so filled with adrenaline that I bet one of us could have single-handedly lifted the desk at that moment. By the grace of God, we found no teenagers under the console, and nobody even had a scratch on them. The FOH engineer yelled into the VOG mic to stop the show; we picked up piles of teens and repaired the barriers. All of the connectors were absolutely fine on the back of the desk, so the show went on without another hitch. After the commotion died down, I started having daydreams of being back working those organic chemistry lectures and quickly determined that the rock ‘n’ roll scene just isn’t for me. But, as if the rock ‘n’ roll gods were saying get out and stay out to me, I kneeled down to disconnect some cables from the back of a rack after the show and realized I had just placed my knee in a nice pile of vomit. So, it’s back to the ivy-covered walls and lecture halls for me! In March of 2008, while I was working at Harvard University, I wrote an article that was published in Rental & Staging Systems magazine. Since a big part of my job at Harvard was scheduling and supervising AV technicians working on live events, I wrote this article talking about how to employ new freelance technicians. At some point during the year, usually during the really busy times, you'll inevitably have to hire some new freelance technicians to work on shows. You'll make a last minute decision to bring in some new freelance muscle to help with those big shows during the very busy weeks. There are some simple but effective tips to preparing and supervising freelancers who are relatively new to the AV industry, as well as freelance techs who are experienced but just haven't specifically worked for your company. Not only have I hired and employed many new freelancers, but I've been one too, so I speak from both sides of the issue. You've been reviewing the show details in your head for weeks, if not months now, so you know the show inside and out. Take a step back and look at the show from the perspective of the new guys. Not only were they not involved in the planning process for the show, but they barely know the name of their supervisor. They're totally clueless about the entire scene that they're stepping into. I'm not suggesting that you should coddle them and hold their hand for the whole day, but a little special treatment in the beginning of the day will streamline things later, when it gets very busy and time is money. 1) Attire and tools: Before new freelancers arrive on site or at your office, make it extremely clear to them what your attire requirements are and what, if any, tools they need to bring with them. An inappropriately dressed or under prepared tech can really make for a bad day right from the beginning. If they're working a split shift for set and strike only, always have them bring a suit or proper show attire. You never know when you'll get into a pinch and have to ask them to stay and tech the show. 2) Supervisors: Make it very clear to the new techs who they should report to for the day. When the new freelancers arrive for their call time, their direct supervisor for the day needs to be the first person to meet them. If the new people meet another tech first, they'll most likely latch onto that tech for the day and look to them for guidance. That will slow both of those techs down. 3) Information: Providing your new freelancers with some basic paperwork in the beginning of the day usually eliminates many general questions over the course of the day. You might know everyone working the job, but they don't. Give them a simple list of the staff working the job, their job titles/duties, and cell phone numbers for everyone. Creating and distributing a general itinerary of the day's events and staff breaks will usually stop the constant "when do the doors open?" or "when does this show end?" types of questions. Keep in mind that you know where every mic stand and fast fold screen will be placed, but they don't know any details about this show. Providing the techs with a general set up diagram for the show will prevent a new tech from standing there wondering where they can grab power from. 4) Customer service skills: Review proper customer service skills with them, in case they have direct contact with the client. Since every company is different, you never want to assume that new techs will deal with customer service issues exactly the way you want them to. Since they're new, they might be overly eager to help the client themselves, rather than refer them to the project manager or sales rep. They always need to know exactly who to refer the client to. Always make sure you have the name of the project manager or sales rep on the staff list that you gave to the tech. You don't want the client knowing the tech is a total rookie because they can't remember who their boss is for the day! You can't expect to throw new freelance techs right into the mix like you can with your regulars. Taking the time up front to train and prepare your new freelancers is an investment that will definitely pay off, and before you know it, you'll have a solid crew of regular, well-trained freelancer technicians. Using these simple tactics will start your new freelancers off on the right foot, make your day much easier, and even save you some money in the long run.